Yakitori is one of the most popular foods in Japan. 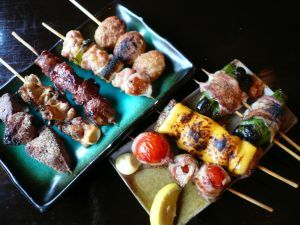 There are lots of Yakitori restaurants in Yokosuka because Yokosuka is famous for Izakaya culture. Many Japanese have Yakitori with drinking alcohol. It’s a Japanese style. Yakitori restaurant HISAGO is good for having tasty Yakitori. Of course, other menus are also nice. It takes 3-4 minutes from Shioiri Station.